What will I See on Whatsapp if Someone has Deleted Me? 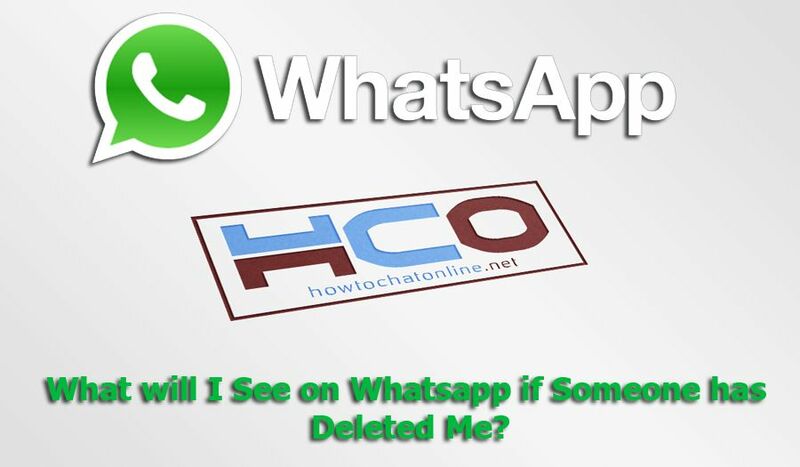 If you are not sure that if someone deletes you on WhatsApp, you will find the answer of your question on here. We have created this question content due to a question of one of our users. If you have any questions regarding WhatsApp, you can also leave a question us through sending a mail to “contact@howtochatonline.net”. Hello, I am suspicious that a friend has deleted me on WhatsApp messenger. How do I understand that he has deleted me. Is there Any Other Way to Know This? You will easily understand if you have been blocked by your friend with that guide. It is highly likely that you have been deleted in his/her contact list too. However you can try call your friend to know what’s wrong with her. Your friend was changing his/her profile picture too often? Checking his/her profile picture can give you a clue. If you are suspicious that a contact removed you from the list and if you can’t see his/her pic, may be it happened. Please check your contact’s online status while you are messaging each other. Also see status updates. Only contacts can see status shares. These are some solutions which are related with privacy settings of your contact. They are not 100 percent reliable sources to know that you have been deleted.